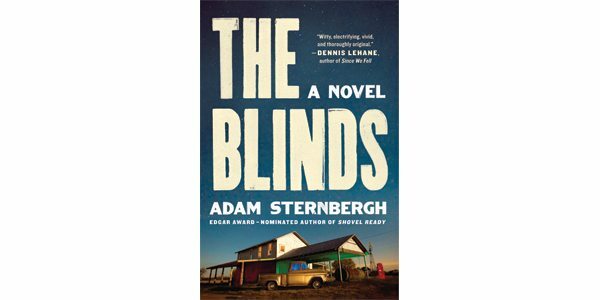 “Damnatio Memorae,” reads graffiti sprayed across the walls of a trashed workshop in the remote Texas town of Caesura, the setting for Adam Sternbergh’s taut conceptual thriller, The Blinds. “The condemnation of memory”: that ominous phrase perfectly captures the nature of the threat that, first subtly and then with relentless malevolence, propels Caesura toward violent catastrophe. But while memories can be erased, the past itself lives intransigently on, including in the “blind files” containing all the suppressed truths of the residents’ pasts that, as Sheriff Cooper knows, are the real source of the town’s nickname. Memories themselves, too, prove harder to eradicate than the founders of the Caesura project had hoped, and they remain vulnerable to restoration through triggers – a face, a song, a line in a book. The destruction of one character’s workshop reveals just one of several fault lines that ultimately fracture the foundation of deceit on which the town’s uneasy and morally compromised idyll has been so strangely built. The Blinds has the atmosphere of a western, with its dust-parched setting and the initially familiar tropes of a town united against the threat of outlaws and defended by a righteous gunman. Sternbergh, however, upends these conventions. His sheriff, for instance, really isn’t one – his badge is a toy, a joke infused over time with meaning and authority he doesn’t deserve, and the residents’ blind ignorance about their histories makes it impossible to tell the good guys from the bad, the innocent from the guilty. The Blinds also raises unsettling questions about how much this distinction really matters, and how much someone’s history should determine their future. Caesura is populated by the system’s “most repugnant witnesses: the killers, the serial rapists, the child predators, the ones who had knowledge and leverage, who could trade their testimony for amnesty.” But what treatment do they deserve now, when they have all become law-abiding citizens of an outlaw community? The Blinds is fast-paced and smartly plotted, its action rising in a well-orchestrated crescendo to a climax at once gripping and morally provocative. Its science-fiction premise – the manipulation of people’s minds for social ends – adds metaphysical weight to the suspense. The restoration of memory may or may not lead to justice; in the end, the novel suggests, the condemnation we should most fear is our own.